As we all know, a website is runs by individuals or a small group. Those individuals are also known as bloggers. Although, the blogger is the person who keeps the blog or publishes an online diary. A blogger always needs to write material for blog meaning. As blogging is the best way to make online money, there are lots of bloggers who earn online money. It is also the best option to choose for the better career. Being a blogger is easy. Everyone in this field wants to become a successful blogger. But being a successful blogger is not easy. Many people try, but everyone does not get success easily. It needs intense research, hard working, passion and long working hours. So, here, I’m providing you some tips you need to follow to become a successful blogger. Your writing skill is the main component that you have while writing a blog. So make sure that you have good writing skill. Because it influence your readers to read the blog. Good writing skills allow you to communicate your message with clarity. 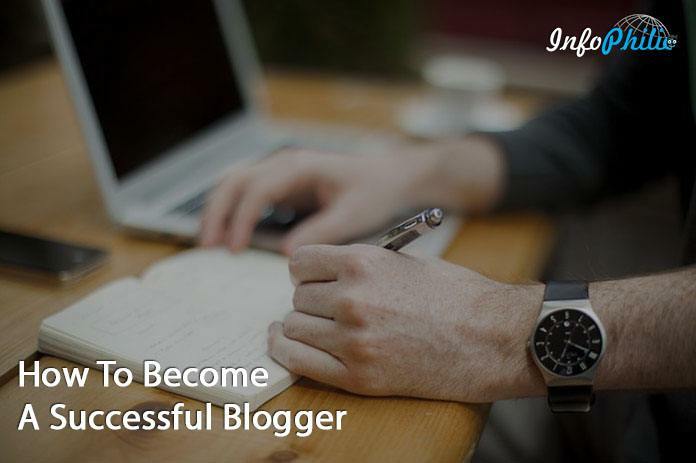 You can become a successful blogger if you are a good communicator. Generally, a big communication barrier a writer face that they can’t tap into the power of non-verbal communication. So, writers must learn to communicate clearly with their blog readers. Some people thinks that a blogger’s work is over after writing the article. But no, it is the wrong conception. The important task starts once you did with the article. Blogger needs to share on different social media. So, he also needs to reply to each comment that he is getting on his articles. Many people take blogging as their hobby. But for the serious writer who has something to say, it must be more than a hobby. It must be a discipline. If you want loyal and regular readers, you should maintain discipline while writing a blog. You should make a timetable and behave likewise. Make separate time for each work. For example, divide into writing posts, commenting on other blogs and social networking promotion. You also need to post new blogs on a regular basis. Your discipline while writing shows you a professional blogger. As a blogger, you must always be ready to learn about new things. It will also give you a great success in internet marketing. You need to learn consistently because of the rapidly changing nature of the internet. Although reading is an essential requirement which will help you to stay updated with the latest information. So do spend some time to read other blogs so that you can increase your knowledge. When you start blogging, you generally constantly sit in a chair, filter your thoughts, type them through the keyboard and click on Publish. New bloggers generally make some silly mistakes that may ruin their chances of becoming successful bloggers. So, you must learn to avoid silly mistakes while writing a blog. Putting Punctuation Outside Of Quotations. Huge Paragraphs & Run On Sentences.